When: Thursday, August 20, 2015, 10:15 a.m. Many of you have already seen some of the photos of the various stages of construction of our new memorial just outside of Fort Benning, Georgia; the memorial honors all eras of 11th Cavalry service. 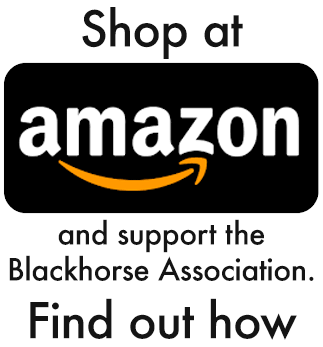 If not, please go to our website atwww.blackhorse.orgopens in a new window to view the beautiful photos. The dedication will take place during the first day of the annual 11th Armored Cavalry’s Veterans of Vietnam and Cambodia reunion, but all Blackhorse veterans are invited to attend. We hope that many of you will be able to join us on this special day. We anticipate over a thousand Blackhorse veterans will be in attendance. 9:00 am: Graduation ceremonies of A Company, 1st Battalion, 81st Armor Regiment. This is the newest generation of armor and cavalry soldiers who are following in our footsteps. Please plan to arrive by 8:30 am. 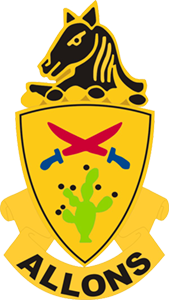 The 11th Armored Cavalry veterans will be recognized during the graduation ceremony. 10:15 am: The dedication of the new 11th Cavalry Memorial will follow the graduation. We will begin with a short program in the covered grandstands. Following the program, those who wish to proceed to the memorial for the unveiling, photos, and to locate their brick/paver are welcome to do so. Please note the distance from the grandstands to the memorial is about 1/3 mile, and an August day in Columbus, Georgia promises to be very hot and humid. After the memorial dedication, there are two great activities for your enjoyment. You can walk through the new Pattons’ Park (this is the first stage of a future armor/cavalry museum) with seven armored vehicles adjacent to our memorial. You can also visit the World War II Company Street across the parade field. Although originally intended to be "temporary" in the 1940s, many of these buildings were still in use in the 1960s and 1970s. This is a nostalgic look back at the "luxurious accommodations" in the barracks, mess hall, orderly room, supply room, and chapel; many of our senior veterans have used these facilities during their service to our country. You will also have the opportunity to visit the National Infantry Museum for an on-your-own tour of this amazing state-of-the-art museum that traces the infantryman through the history of the United States. Be sure to visit the Armor/Cavalry Gallery on the lower level of the museum. This new gallery tells the Armor/Cavalry story through a mix of actual combat vehicles, uniforms, soldier equipment, wall displays, and dioramas that also showcase the Armor/Cavalry Museum collection. You may also want to visit the half-scale replica of the Vietnam Veterans Memorial at the National Infantry Museum. If you have any questions, please call Glenn Snodgrass at 703-250-3064.